The monarch butterfly (Danaus plexippus) is one of the most easily recognizable native butterflies in the United States. While the orange and black garden visitor used to be a common sight across Ohio from summer through early fall, visits are increasingly uncommon. 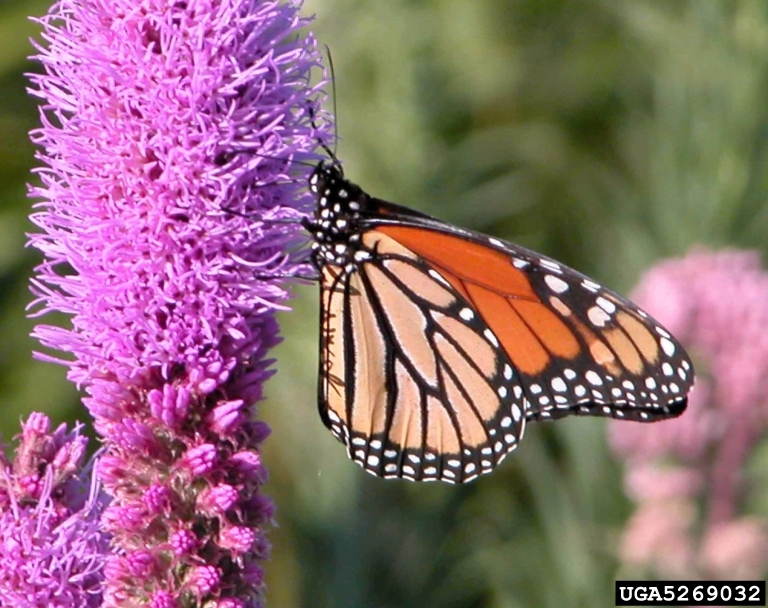 Experts estimate that monarch populations have declined 90 percent in the last 20 years. This Quick Guide describes steps gardeners and others can take to help this struggling species. Monarch adult butterfly and caterpillar on milkweed. (Photo by Rob Routledge, Sault College. 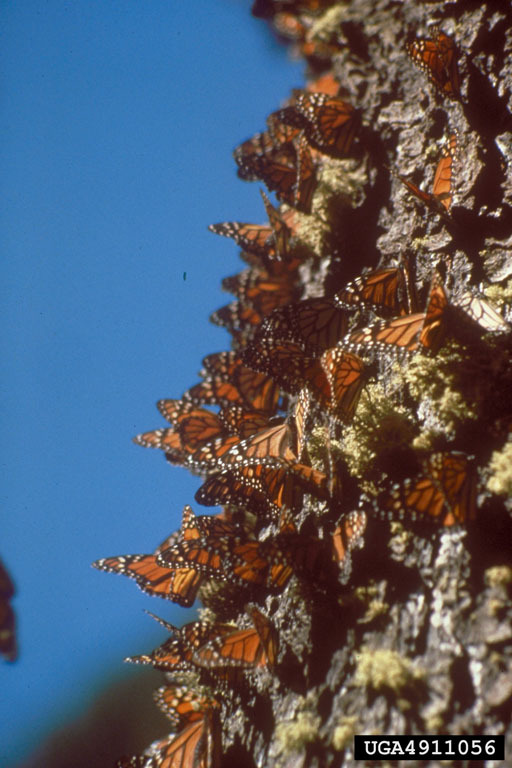 The monarch butterfly migration is one of nature’s most amazing feats. Millions of adult butterflies, each less than the weight of a postage stamp, make a 3,000-mile journey southward from their summering regions in the eastern United States to wintering habitat in Mexico. The overwintering adults return to the southern United States in March to mate and lay eggs for the first generation of adult butterflies. First-generation adults continue to feed and mate as they journey northward. Second- and third-generation adults mate and feed through summer, laying eggs for the fourth generation of migrating adults. 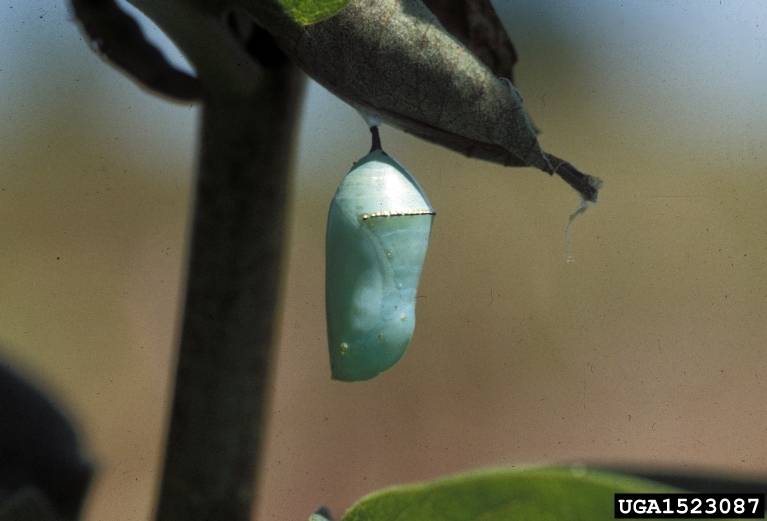 Like all butterflies and moths, monarchs undergo complete metamorphosis, progressing from an egg to a larva (caterpillar), a pupa (chrysalis) and an adult (butterfly) stage. 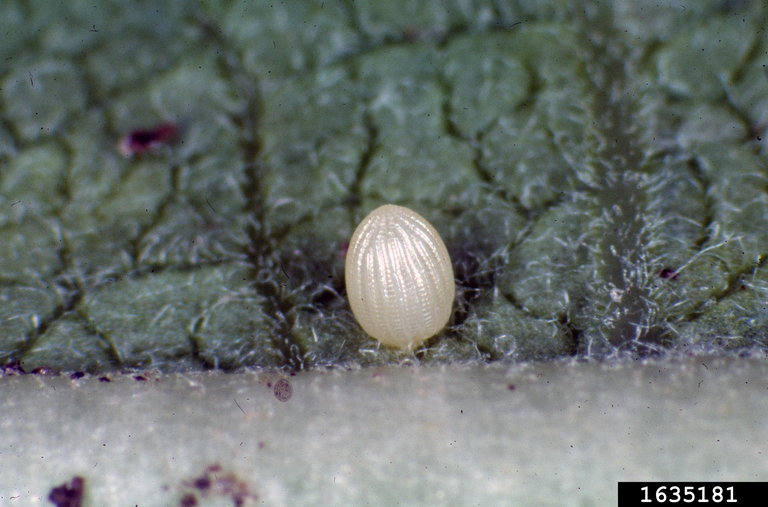 While the adults can feed on the nectar of many summer- and fall-blooming plants, larvae can develop only on milkweed plants in the genus Asclepias. 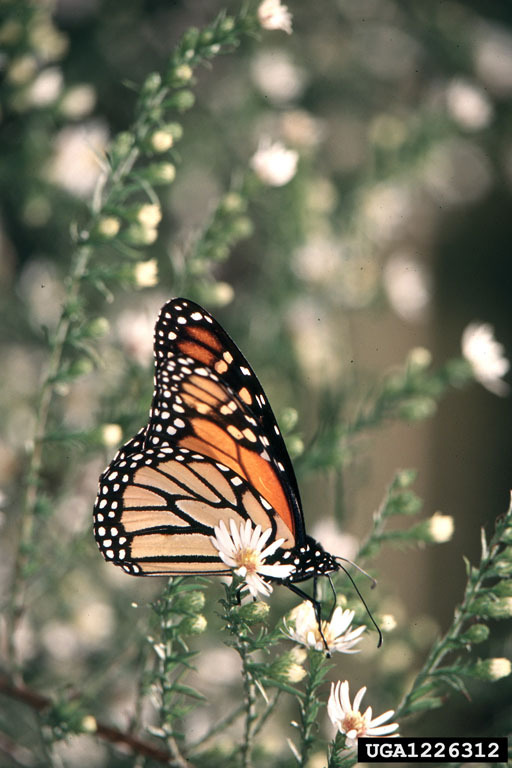 Monarchs face a number of serious threats to their survival. Overwintering habitat in Mexico has declined from about 27.5 acres in 2004 to a record low of 2.5 acres in 2014. Erratic weather events can kill overwintering or migrating butterflies. 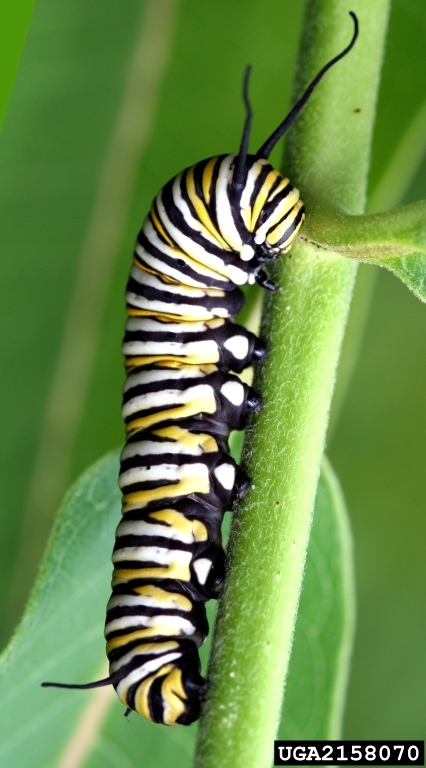 The loss of native milkweed stands associated with habitat destruction and increased agricultural herbicide use means less food for larval (caterpillar) monarchs. Loss of late-summer nectar sources means less food to fuel the adults, including fourth-generation adults on their migration journey. Insecticide use on host or nectar plants can harm or kill monarch caterpillars or adults. Adult monarchs depend on rich sources of nectar to fuel their summer activity and eventual migration. 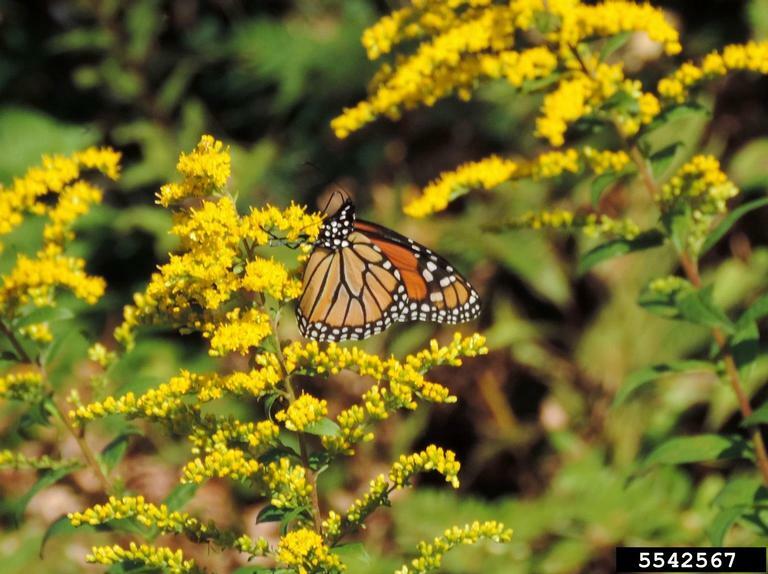 Many native wildflowers provide copious nectar to adult monarchs and many other pollinators. Aster, goldenrod, ironweed, liatris, Joe-pye weed, mountain mint and purple coneflower are just a few of the many garden-worthy and nectar-rich native plants that bloom in midsummer into fall. Milkweed and other native nectar sources thrive in full sun. Group plants together in clumps to attract butterflies. Select a sequence of plants that bloom from midsummer to fall to provide ample nectar for breeding and migrating adult monarchs. Avoid planting tropical (annual) milkweed species, which can harbor pests and may delay migration. 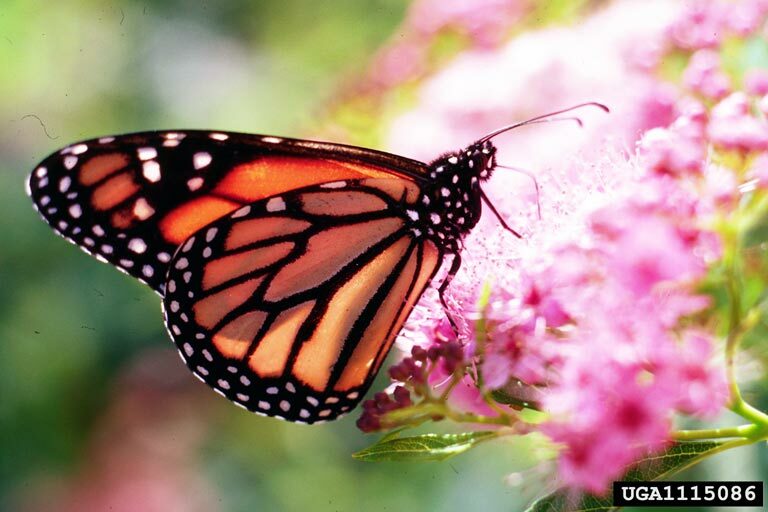 In gardens and conservation areas, avoid the use of pesticides on milkweed and nectar plants. Use an integrated pest management (IPM) approach to reduce pest pressure. Communicate with managers of roadsides and rights-of-way about the need for more milkweed and nectar plants. 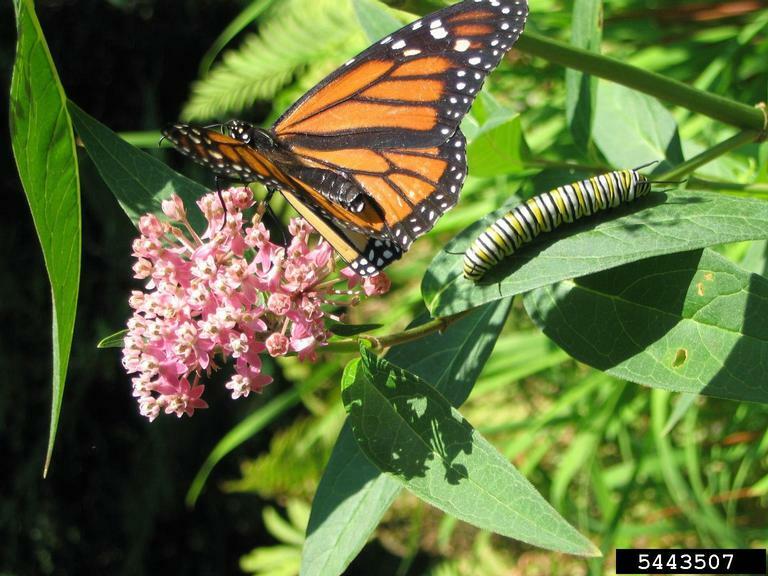 Avoid summer mowing of milkweed stands to protect developing butterflies.